Provide your tenants with flexible online rent payment options. We offer automatic recurring rent payments for any day of the month along with monthly, bi-monthly, weekly, and bi-weekly options to match your tenants as not every tenant pays just once a month or between just the 1st and 5th of the month. If you need to modify a recurring payment for just one month, such as on a different day or without a late fee, we can handle it. In the event there is an issue with the recurring payment clearing the first time we can also reprocess the payment a second time as needed. 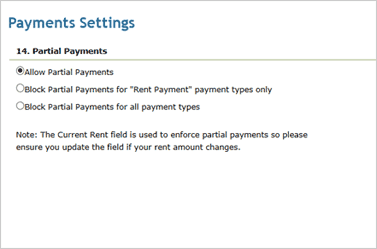 We also understand that not every tenant wants an automatic recurring payment so we offer one-time payments also. The one-time payment feature can be used to collect miscellaneous payments as well, such as deposits, utility payments, application fees, etc. 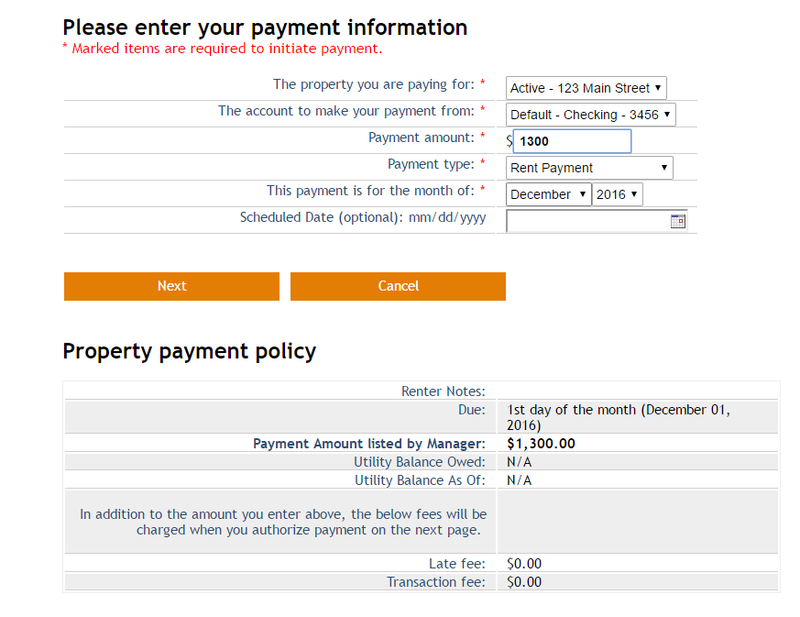 You can also use our invoice feature to send payment requests to tenants for additional payments, such as a utility payment. With our invoice feature you can request a Security Deposit or Pro-Rated Rent Payment from a new tenant to make move in easier. Decide for each property whether to block all partial rent payments, block partial payments for Rent Payments only, or allow partial payments to maintain the flexibility you need for keeping rental payment collection effortless through our online rent collection software. Automatic Authorization Form - The tenant signs the form you download and we set up a recurring payment in the system for the tenant. 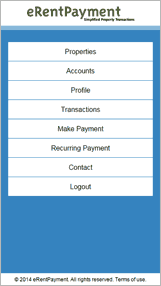 Mobile Site - We offer a mobile version of our site so that the tenant can submit payments on their phone.